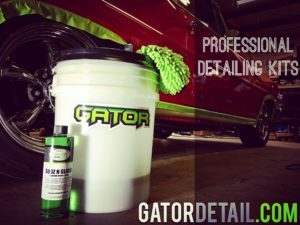 Gator’s Pro Wash Bucket Kit comes with everything you need to get all of the grime & grit off your brushes and wash mits during your wash so that you are not reapplying it to the surface and causes new scratches. 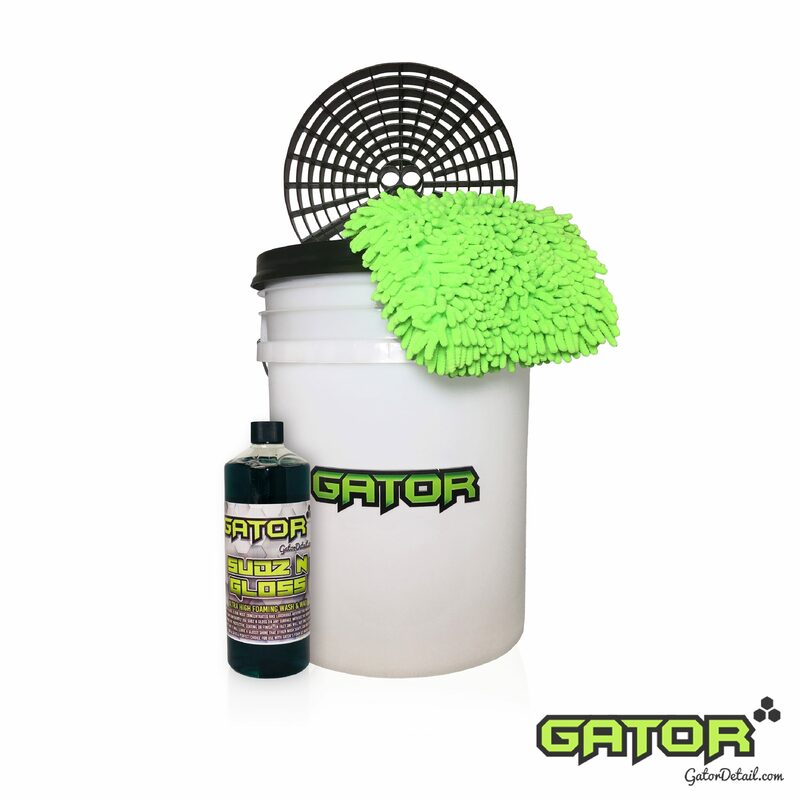 Gator’s Custom Logo, Full Size 5-Gallon Wash Bucket Size 5-Gallon Wash Bucket Starter Kit…Not a tIny 3-gallon bucket like the “Other Guys”. 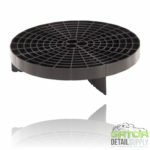 Black Re-closeable Gamma Bucket Lid & Plastic Rim for added protection, leak proof seal, and a custom professional look. 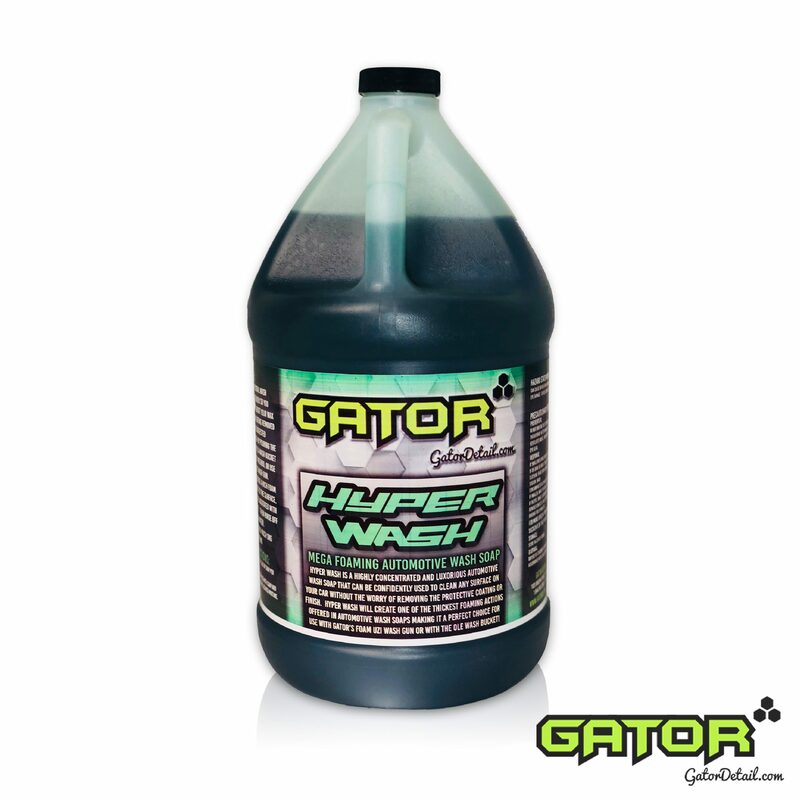 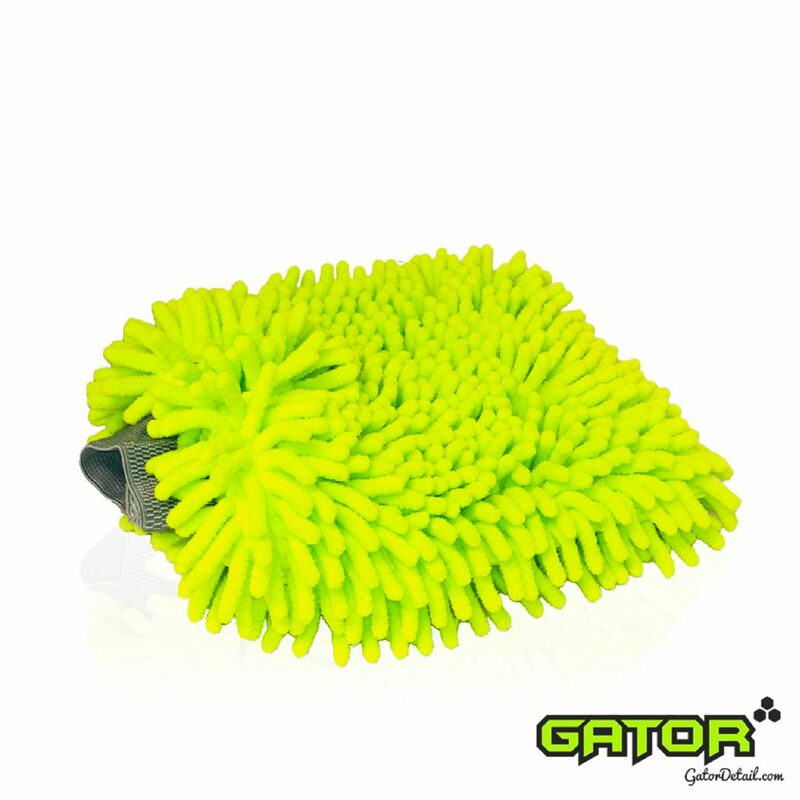 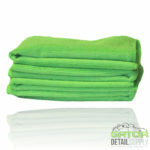 Gator’s popular Hyper Green Jumbo Microfiber Scratch-Free Wash Mit. 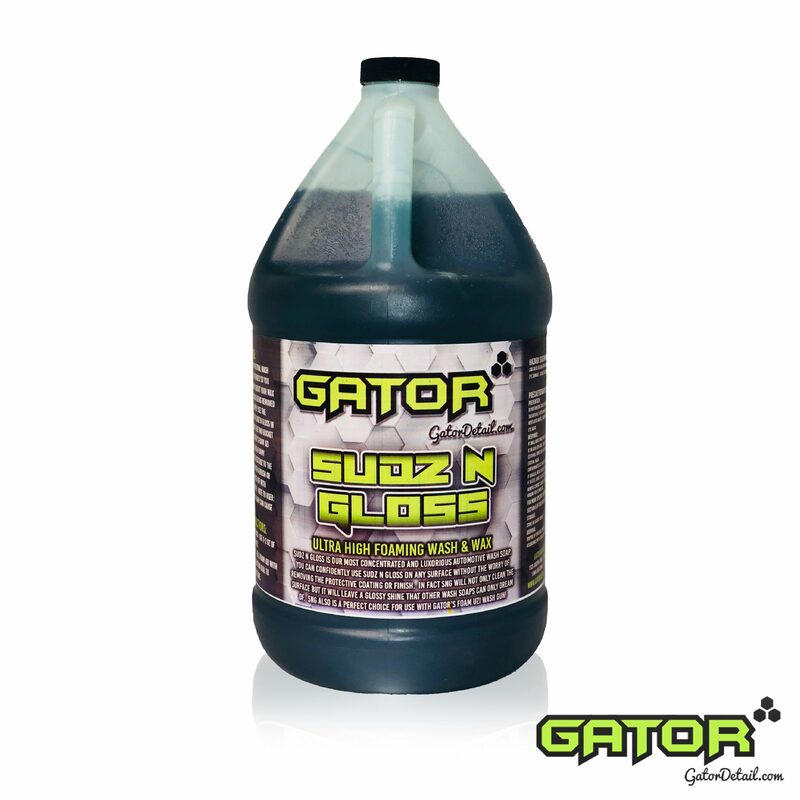 A whopping 1-Liter bottle of Gator’s best selling, ultra-concentrated, Foaming Automotive Wash & Wax soap, Sudz N Gloss. 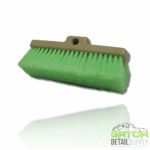 Heavy Duty Super Grit Sifter wash bucket grit insert that keels dirt from getting into your brushes and by allowing it to fall to the bottom scratches and preventing scratches.